Your Web Content Writing – the written text on your web site is very important and plays a key role in your search engine rankings and visibility. By analyzing and structuring your web site’s written content you can create powerful results for your business. To write winning web copy, you need to find keywords and phrases that not only specifically describe what you offer, but also are the exact search terms that your audience uses to find you on a search engine. These terms should correspond with your meta-tags. Keyword rich content immediately tells your audience that you have what they are looking for and that your site is worth exploring. Accurately researched and placed key words and phrases make your Web Content Writing both customer focused and search engine friendly. Credibility of text is another important attribute for site visitors. There is no actual face-to-face contact and so they have to feel that they can trust the person or company behind the site. The challenge is to make sure your content is credible but can also do the job of selling your product. When a prospective customer clicks on your site you only have a few seconds to gain their trust and show them how you can be of benefit to them. 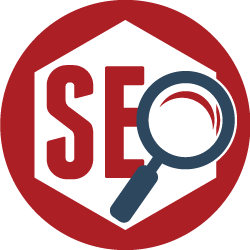 By looking at the words you use and the message of your web site you can improve both your search engine optimization and your customer retention once they are on your site. What you say within your web site can be one of your biggest challenges and also one of your most important assets. It plays a crucial role in the success of your web site. Web Content Writing are experts in this field and can help you to develop winning content for your web site.